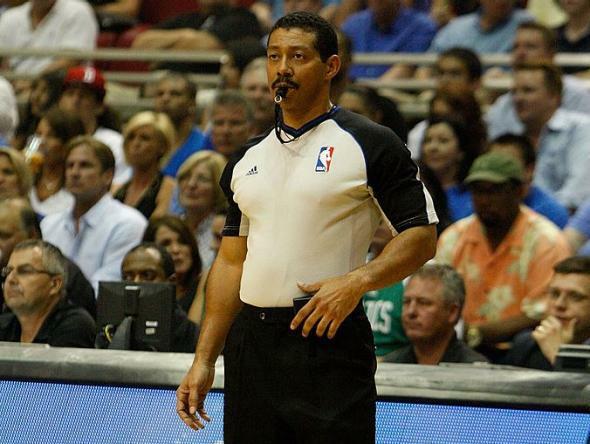 NBA referee Bill Kennedy is gay; Rajon Rondo allegedly targeted him in tirade. Bill Kennedy at a May 18, 2010, game. As Wojnarowski’s wording implies, Rondo—who was suspended one game for his behavior—is said to have made the apparent comments about Kennedy only after he’d already been ejected. Kennedy is not the first major-sport official to come out; MLB umpire Dale Scott and NBA ref Violet Palmer have also done so.